This method can be used by students who want to teach themselves, or by teachers for private or group instruction. 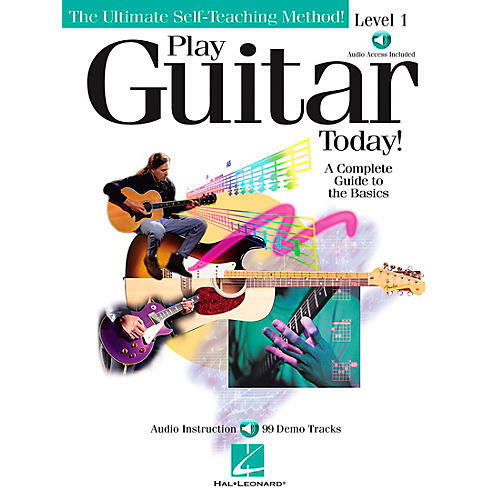 It is a complete guide to the basics, designed to offer quality instruction, terrific songs, and a professional-quality CD with 99 full-demo tracks. Students can learn at their own pace and open the door to the world of guitar music! This method covers songs, chords, and riffs; picking and strumming; playing tips and techniques; standard notation and tablature; and over 80 great songs and examples!